For one week on this Lake Como Cycling Experience you will glide over roads with names of cyclist greats painted on them. You can ride to the to the top of climbs with shrines to Coppi, Bartali and Casartelli. Where else is there a chapel decorated with the bikes of cycling’s heroes? Team up with Passoni to ride the classic climbs, experience the highlights of the Giro di Lombardia and immerse with the cycling culture in Lake Como. Join us in cycling’s spiritual home on the unforgettable Lake Como Cycling Experience. Stay in a 5 bedroom luxury villa located just outside Mennagio – a truly remarkable location. 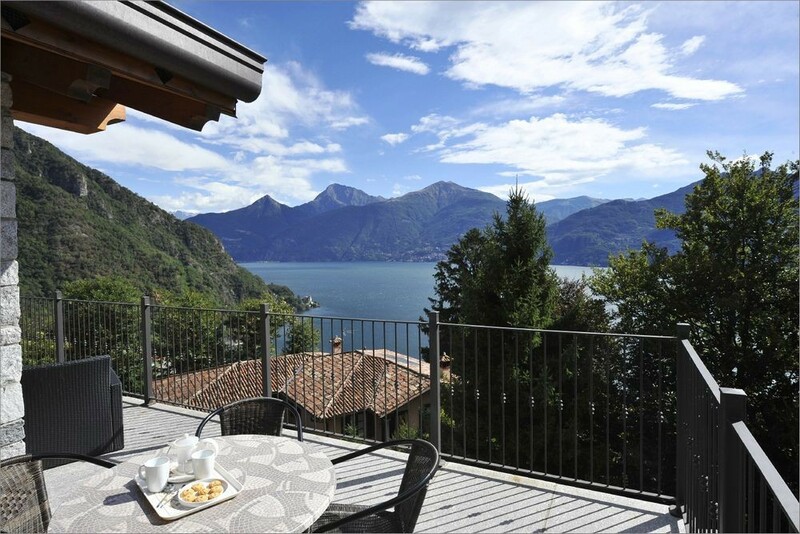 You can enjoy a private and elevated hillside location that overlooks the famous and stunning Bellagio peninsular. This sleek and stylish villa has all the mod-cons and luxury features you need to fully enjoy yourself after a days riding. The 200sqm villa is open plan with stunning living and dining area overlooking the lake on the first floor. You can truly relax or entertain in style with a fully fitted contemporary kitchen complete with gas hob, oven, microwave and breakfast bar. All this is spread over an inviting living area furnished with an L-shaped sofa, classy gas fireplace and flat screen TV. Not enough hills? How about our French Alps Cycling Experience....?? Check out all our other European cycles - long and short, epic and tasty - all here.